The first laptop computer put on the market was built in 1981. Known as the Osborne 1, it cost $1795. The screen was five inches long and the keyboard was built right into the lid. And it wasn't light. In fact, it weighed about 25 pounds. But they've come a long way since then. Laptop and notebook computers can be the ideal office solution for mobile business people, as you no longer need to sacrifice functionality for portability. In fact, the market share of desktop computers has been on a steady decline in recent years as more and more users make the switch to mobile devices. But before you buy a laptop or notebook computer, consider these essential buying tips. What is the Difference Between Laptop and Notebook Computers? Some may decide they can handle most mobile computing chores on a smartphone. The difference between laptops and notebooks is somewhat blurry. Typically, a laptop weighs about five pounds and is about 1.5 - 2 inches thick, whereas a device referred to as a "notebook" is generally three pounds or less in weight and .5 - 1 inch in thickness. Notebooks and tablets are more portable — small enough to be carried in a backpack or briefcase, which means a screen size of 15 inches or less. There are still other versions of the "book" computer. Netbooks are even smaller and are inexpensive devices meant for basic computing tasks such as word processing, email and web browsing. Tablets have an enormous range of price and capability. More expensive hybrid models or convertibles such as the Microsoft Surface or the Acer Chromebook come with larger, higher resolution screens and detachable keyboards, putting them on par with notebooks and laptops for capability. Remember, size matters. An extra pound of weight in a laptop or notebook may not sound like much, but you may appreciate the difference after balancing it on your lap or packing it around in a briefcase. Unfortunately, weight is often inversely proportional to price. Heavier models tend to fetch a lower price, while leaner ones often come at a premium. On the other hand, if the display size is a concern (as described below) you may want to sacrifice weight and portability for a larger size. Smaller notebooks also have more cramped keyboards which can be uncomfortable for some users. Before you buy, check your budget and weigh it against how you intend to use your laptop. Do you need something to video and photo editing? Are you a serious gamer or a power business user who typically uses multiple applications at the same time? Or do you just want one for basic stuff like web surfing and video chatting with friends and family? Although the price differential has dropped greatly in recent years, laptop/notebook computers still tend to be more expensive compared to desktop computers. You pay a premium for being able to pack your office around with you. This, of course, also depends on the brand you're buying as well as any specs going into the laptop. And unlike PC desktop computers, laptops, notebooks, and tablets are often difficult or impossible to upgrade with interchangeable components. If you buy one, try to choose one with all the features you want at the time of purchase. Processor (CPU): Pricier models have higher processor speeds, which means better performance with CPU intensive tasks. If your tasks mainly involve word processing and web surfing, you won't need a faster processor. Graphics (GPU): If you plan to run graphics-intensive gaming or virtual reality (VR) applications, a high-end graphics processor is essential. Ultra high-end graphics capability can easily add over $1000 to the price of a laptop. Amount of memory (RAM): A typical inexpensive laptop/notebook comes with 8 GB of RAM which is sufficient for light duties. If you intend to run multiple applications simultaneously, more is preferable. For power users or gamers, 16 GB or more may be required. Disk speed: Solid state drives (SSDs) can give a huge performance boost over the traditional mechanical hard drives (HDDs). SSDs are more expensive than HDDs but are rapidly declining in price. SSD drives also have much less capacity than HDD drives. If you need more disk storage space you may consider getting an external hard drive. Options such as fingerprint readers, ruggedization for adverse conditions, etc. The brand name will also determine how much you'll up pay for your portable device. Cheaper models that don't do as much can cost a few hundred dollars. Those made by top manufacturers like Apple or Microsoft can cost in the thousands, depending on the model and specs. While laptop/notebook computers promise mobility, it's not unrestricted. If you plan to use your computer "unplugged" frequently, pay close attention to the device's battery average run time. More efficient processors, SSD disk drives and improved battery technology have increased average run times to 14 or more hours for some models. But there is still a large variation. So if you intend to use your laptop/notebook for long overseas flights or in other situations where charging is not readily available, make sure you choose a model with sufficient battery life. Keep in mind, manufacturers tend to exaggerate notebook battery run times or quote them under ideal conditions. Battery run time is heavily dependent on usage. Watching HD video takes more battery power than basic web surfing. Check third-party reviews for real-world statistics on battery life. Run times also decrease as the battery ages, so your five-year-old laptop won't run as long on a single charge as when you first got it. Note also that batteries on sealed devices such as tablets can be difficult and expensive to replace. If you intend to use your laptop/notebook for watching or editing HD video, playing games, or need to have multiple visible windows open on the screen at the same time, you will need a higher resolution display and the largest screen size possible Just remember, that larger screen size means more weight and less portability. 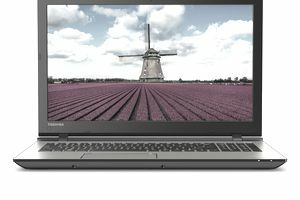 Budget laptop/notebooks typically come with a resolution of 1366 x 768 pixels, but if you intend to watch high definition (HD) video 1920 x 1080 (known as 1080p), or higher is preferable. If you want to watch 4k video or are a hard-core gamer the most expensive laptops now come with 3840x2160 resolution. Wired: Aside from the ubiquitous Wi-fi connectivity, if you prefer to use a faster-wired connection while in the office, you will need an ethernet port. These are becoming more of a rarity these days as laptops/notebooks become thinner and lighter. DVD Drives: Most come without a DVD drive now, as most software, music, video, etc. is now delivered via the internet. Inexpensive USB sticks have much higher capacity, reliability, and portability than DVD drives. If you do need to use DVDs select a model that comes equipped with one or you have to buy an external DVD drive that connects with your laptop with a USB cord. HDMI Ports: If you intend to connect to a TV or larger HDMI display (for business presentations or watching video on a big screen) you will need an HDMI port. If your model doesn't come with an HDMI port, you can easily purchase an adapter that will fit into the USB port on your device. USB Ports: If you need to connect more than one USB device to the laptop/notebook, make sure it is equipped as such. Most (but not all) notebooks come with two USB ports. If you're buying a notebook or a tablet, you should consider a detachable keyboard if one of the primary uses of the device will be word processing. On-screen keyboards take up screen space and are awkward to use, making them a poor substitute for a regular keyboard. Microsoft Windows is the dominant operating system with approximately 85% of the desktop/laptop market. Mac OS is supplied with the Apple MacBook line of laptop/notebook computers. Google Chrome OS is a lightweight operating system that is sold with notebooks referred to as Chromebooks. Chromebooks were originally very inexpensive, barebones, net-surfing appliances, but now come in full-featured (and more expensive) versions. Google Android is a popular tablet/smartphone operating system. Whether Google will continue to support both Chrome OS and Android or merge the two into a single OS is unclear. For most buyers, the choice will be between Windows and Mac OS which comes down to preference. If you are an Apple fan and have other Apple products, you may prefer the Mac OS. You can easily sync your Apple products to each other to share and transfer data. Those accustomed to using Windows (or working in business environments where Windows dominates) will likely prefer to use a Windows-based laptop/notebook.